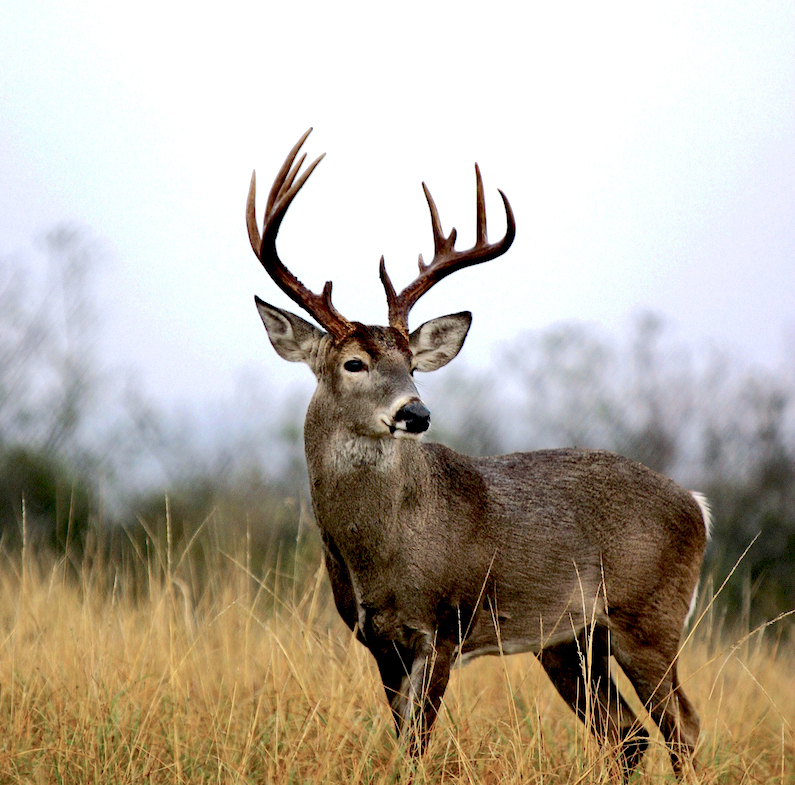 Research suggests that deer, especially mature bucks, know when a stand is being overhunted. Another deer season has passed, and I’m reflecting back on that big buck I scouted right before the season. Initially, I spotted the buck close to my favorite treestand. The trail camera showed him there during daylight hours several times. Guess where I hunted the first three days of bow season? I never saw him. Later in the season, the trail camera revealed the buck was still around. Now, only in the cover of darkness. I’m probably like most hunters. When it comes to hunting a stand, I get into a routine. I’m likely to hunt the same stand several times, consecutively. Maybe it’s because I killed a good buck there in years past. Perhaps it’s because I like where that stand is located. It might just be because the stand is a short walk, so I can slip in and bowhunt for an hour on my way home from work. It’s probably because it’s an easy walk. As I’ve aged, easy is good. Of course I'm also more likely to hunt the stand where I spotted a dandy buck a week before the season. If he was there once, he’ll probably visit again. It’s human nature to imagine the need to be in that stand when he shows up again. All of us can come up with reasons to go to a stand night after night, even though we know that we’re polluting that area with scent. Furthermore, there is the wind to consider. How many of us have returned to our best stand even though the wind wasn’t perfect? The wind might be marginal, so we’ll take a chance, maybe get lucky. If any of the above sounds familiar, consider the classic study done by former graduate student Clint McCoy from Auburn University. He quantified what most of us already suspected, but tend to ignore: It doesn’t take much to overhunt a stand. Study: Do Bucks Avoid Treestands? Determining whether bucks avoid treestands is difficult, but McCoy devised an ingenious study to do just that. He put radio collars on 37 bucks on a 6,400-acre area in South Carolina. For three years he followed and monitored the movements of mostly older bucks (eight yearlings, ten 2.5-year-olds, nine 3.5-year-olds, ten 4.5 years and older). The study area had 100 food plots totaling 300 acres, 60 feeders and 100 treestands. Hunters were taken to their stands via tractors or 4-wheelers. Additionally, hunters were “tethered,” not allowed to wander away from the stand site. One more thing: Hunters could not shoot yearling bucks (and none were killed during this study). McCoy mapped a “Harvest Zone” around each stand. That’s an area where a buck could be seen and potentially shot at or killed by the hunter in the stand. Hunting season started September 15 and ended on November 22. From August 24 to November 22, each buck’s location was plotted every 30 minutes. The result was 116,000 locations mapped and plotted. That required a lot of work. But by doing so, they knew the hunting pressure for each stand because they knew what stands were hunted and when. By mapping each buck’s location on the half-hour, researchers knew how often and when bucks entered the “Harvest Zone” for each stand. Now to answer some questions about overhunting stands. When McCoy lumped data for all bucks, all hunters and all treestands together, he found that bucks were four times less likely to walk through the “Harvest Zone” at the end of the season than on day one of the season. How often have we heard that the first time you sit a stand may be the best chance you have for the big buck working that area? Apparently, bucks avoid stands after they are hunted. Toward the end of the hunting season, bucks moved an average of 55 yards further from stands than they did on day one. So bucks still in the vicinity of your stand may move, though out of range or out of sight altogether. I understand that not all bucks “read the book,” but the data does provide food for thought. When the stand hadn’t been hunted in five days, there was only a slight impact, with bucks still frequenting the “Harvest Zone.” The resources were there — food plots and supplemental feed — so they came. However, if the stand was hunted the previous day, bucks immediately avoided that stand and this avoidance continued for approximately three days. This is the most critical piece of data from the McCoy study. Hunt a stand one time and, on average, bucks will avoid it for three days. Bucks also changed their behavior relative to food plot use in the stand area. At the onset of hunting season, bucks visited the food plots one of every three times the stand was hunted during legal shooting hours. But by the final days of the season, they rarely visited those plots during the day. The same was seen with bait placed near a stand site. Early on, adult bucks were five times as likely to use bait in the day when compared to late season. Older bucks responded differently to hunting pressure than their younger counterparts. By compiling averages, yearlings were monitored 16.7 yards closer to hunting stands at the end of the season compared to the first day of hunting. They were also 15.1 yards closer to stands during daylight versus dark. Remember though, yearlings were off limits to hunters. Older bucks, however, were 17.5 yards further away from stands during daylight versus dark hours on the last day of the study. Obviously your presence at a stand affects buck behavior, even if you make every attempt to conceal your approach. Keeping scent free can only increase your odds. Hunting only under perfect wind conditions boosts your odds again. Utilizing a good entry trail to your stand has to help too. Having other hunters in close proximity to your stands is an obvious negative. The McCoy study unveiled a few negatives about stand hunting. Another more recent study provides a few positives. Dr. Marcus Lashley from Mississippi State University gave an interesting presentation at the July 2018 Quality Deer Management convention in New Orleans, Louisiana. He did something that most people never try, burning in late summer and early fall. Lashley conducted small burns around stand sites in a Mississippi study area. We know that burning helps habitat, but those burns are usually completed in the spring, on relative large areas. Lashley’s burns were done in September, and they were only 30-yard radius burns. That’s a one-fourth acre. He conducted his burns around stand sites, with the stand being the center of the burned area. The results were rather amazing. One month after the September micro-fires, bowhunters averaged 13 times more shot opportunities on stands that were burned when compared to unburned stands. The deer were apparently attracted to these burn areas because of high-quality plant sprouts released from the fire. Analysis showed the new sprouts were 20 times more preferred by deer than the same habitat prior to burning. On average, the September fires in Mississippi yielded plants with double the protein and triple the minerals. Further north, September treestand burns aren't likely to work in the same way. Odds are, early frosts will kill the new growth. But deer hunters in colder climates can adjust the timing, and burn earlier depending on the average date of the first frost. Before conducting burn operations, find out the legalities of burning and plan accordingly. On the day of your planned treestand burns, use a leaf blower and rake to clear a firebreak around that 30-yard radius from your stand. With a couple of friends and a little water to make sure the fire doesn’t get away from you, conduct “bow-range burns.” You can probably do several stand sites in a morning. Finally, follow the precautionary steps mentioned above. Don’t overhunt the stands, and have at it.